Is this the best? 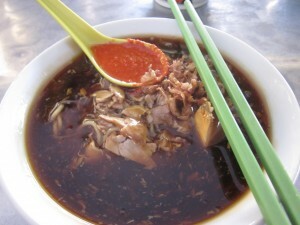 It is always hard to judge when it comes to Lor Mee because everyone have quite different taste. 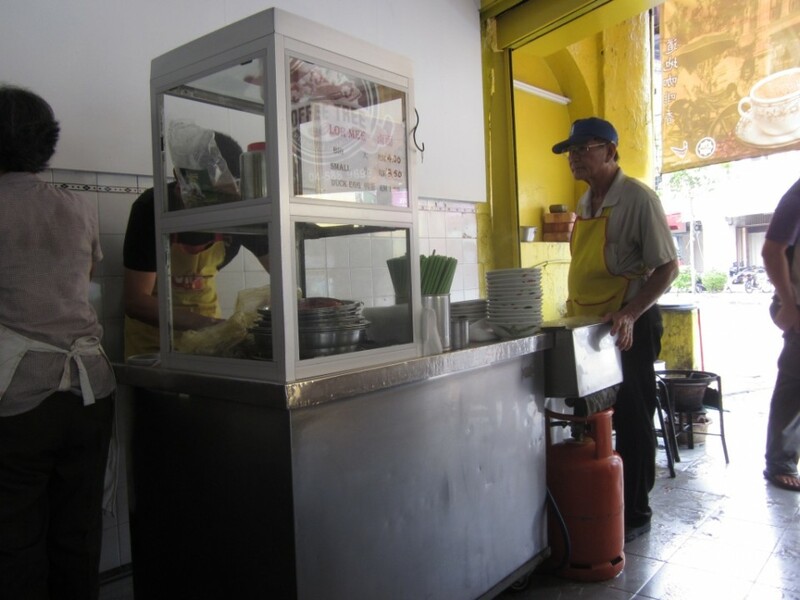 But I can say that this is my family’s favourite Lor Mee Stall. It is just situated at the junction of Kimberley Street and Carnavon Street in a coffee shop. It is only open from very early morning to 12 noon. When we reached there, we manage to have the last two bowls before closing. As I ate, I watched them, clean their stall spotless so as far as cleaniness is concern, I give them a thumbs up. Noodle and beehoon served in a thick sauce made from stock, cornstarch, spices and egg, topped with sliced pork, shrimps, half a hard boiled egg, deep fried shallots, a spoon of their special chili and not forgetting a dollop of their vinegar garlic. 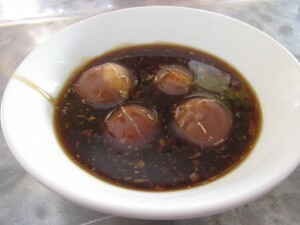 We also ordered extra eggs in lor (the gravy) on the side. Haven’t been eating there for at least 15 years, I find that nothing changes except the stall is so much cleaner.